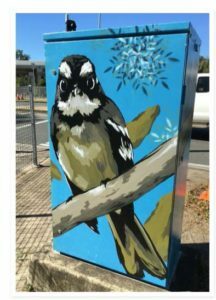 The City of Duncanville has issued a call for local artists to contribute designs for up to 5 of the city’s 35 traffic signal boxes. These boxes will be located in the city’s most prominent, high traffic sites. Duncanville Parks Superintendent Timothy Hamilton is accepting design submissions in four categories: City of Champions; History of Duncanville; Duncanville Military History; and An Inclusive Duncanville. Artwork selected will be part of the Duncanville Public Art Program and should be of high quality in both concept and execution. Finalists will be selected by the TSB Public Art Selection Committee, while Duncanville City Council has final approval. The deadline for design submission is 5 p.m. March 30. Artists may enter a design in each category, but the same design can’t be entered in multiple categories. Each category winner receives $325. The competition is open to individual artists who reside in Duncanville or attend school in Duncanville ISD. Hamilton celebrates his fifth anniversary as Park Superintendent this May. 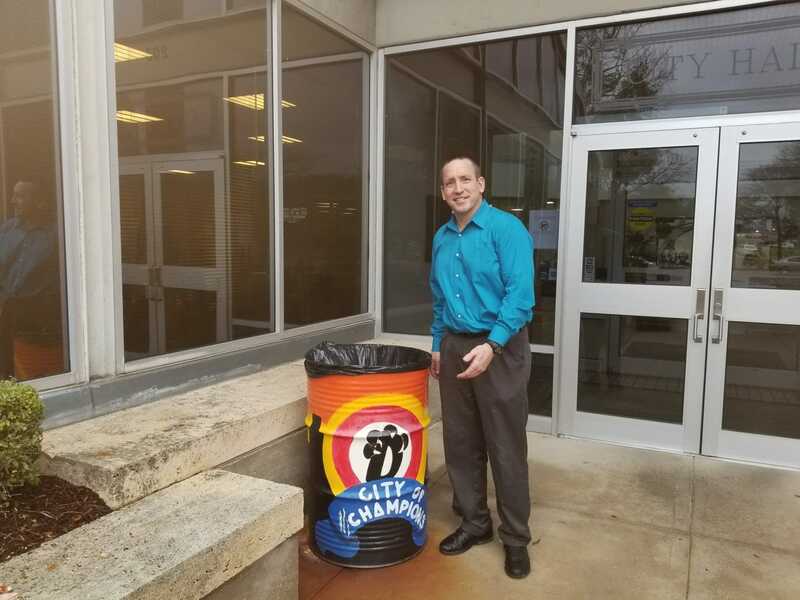 Along with overseeing the city’s parks and their maintenance, he is also involved as liaison for Keep Duncanville Beautiful (KDB) members, who will hold a garden workshop in March. Hamilton said Duncanville welcomes artists with such events as the monthly Duncan Switch street market organized by the chamber and the city. This event makes it affordable and convenient for local artists to sell their work. The next Duncan Switch market will be March 17 downtown on Main Street. The Duncanville Design Studio, a group of about 20 local business people, city leaders, and interested residents, meet monthly at Inner Space Gallery, 100 S. Main Street. They brainstorm ideas for low-cost, small-scale projects to enhance the community. Under the direction of Tim and Anne Perry, local artists installed art panels on Duncanville Feed Store on Main Street. They also designed a panel to highlight Main Street as it looked in the early 1900s for Ben Franklin Apothecary. Duncanville has also recognized artists whose designs were used to decorate trash cans, examples of which can be seen in front of the Inner Space Design Studio, the library, Municipal Building, and Ben Franklin’s Apothecary. Duncanville ISD student Ariana Kimble’s winning entry in last year’s “Don’t Mess With Texas” art competition, a colorful rendering of a small girl in a field of bluebonnets, was used on the TxDOT 2018 Keep Texas Beautiful calendar. For more information about Duncanville’s call for artists, including examples of work submitted in other cities, please visit duncanville.com/community/public-art/.